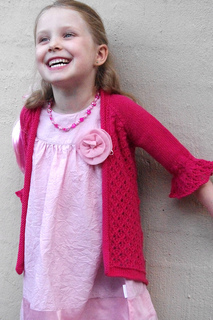 Elizabeth is the perfect little Summer cardigan; open, lacy and lightweight. Elizabeth knits up quickly and simply in beautiful lush 5ply/sport weight yarns, which provide the garment with a wonderful drape. 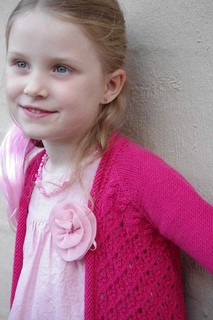 This cardigan is simple and seamless with an interesting construction. 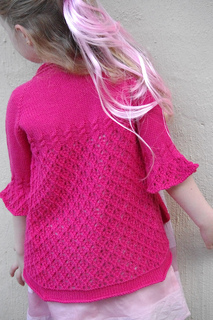 Cables, lace and fluttery sleeves make for both textural and visual delight. The lace is a fairly simple 6 stitch pattern, but tips are included in the pattern for those who are inexperienced or lacking in confidence with lace. 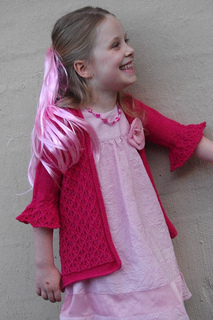 Both charts and written instructions are included for the lace sections. 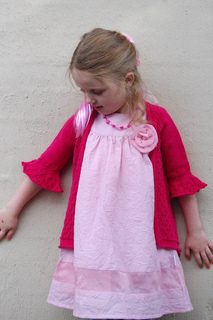 Such a delightful garment is sure to become a well worn staple in the warmer months.